The BAC meets on May 2 at 6 p.m. at 441 4th St NW, 11th floor. BAC meetings are open to the public. ID is required to enter the building. The BAC held its bimonthly meeting on March 7. 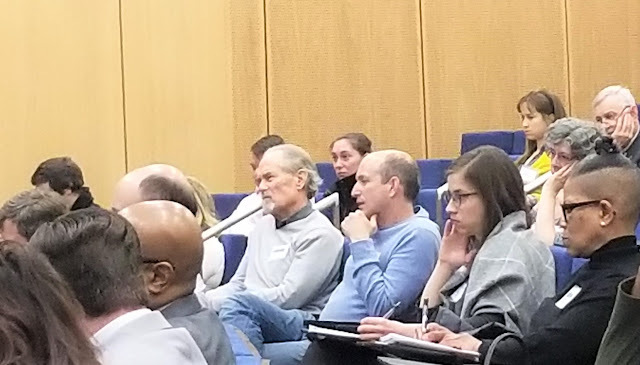 Chair David Cranor attended the Vision Zero Summit on March 15, standing to ask the first question during the concluding panel discussion. Ward 4 member Rachel Maisler joined other stakeholders at a March 29 meeting to increase road safety in Petworth. Maisler, pictured at right, also joined Councilmember Brandon Todd’s staff to test the route for the Ward 4 community ride on April 22. Member Jeff Johnson drew the BAC’s attention to a March 22 public meeting about Union Station expansion, emphasizing the need to express support for bicycle facilities within redevelopment plans. The next full BAC meeting is May 2 at 6 p.m. at 441 4th St NW. Bike to Work Day is May 18.